Judd Apatow and Leslie Mann will be honored at the Fulfillment Fund's annual STARS Gala at the Beverly Hills Hotel on October 26. Each year, the Fulfillment Fund’s STARS gala honors a leader in the entertainment industry for extraordinary generosity and philanthropic involvement. STARS has been recognized as one of the top five most successful annual fundraising events in Southern California, raising up to $2 million each fall to support programs offered through the Fulfillment Fund. 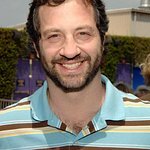 Judd is a leading force in the world of comedy and has been recognized for his work as a producer and writer on many critically acclaimed television shows. Leslie has been making audiences laugh for years, starring in recent hits such as “17 Again.” Together, Leslie and Judd have demonstrated a commitment to philanthropy through their support of organizations for the homeless and 826 LA, a writing and tutoring center for disadvantaged youth. The STARS 2009 Gala will also include a special presentation of the Gitnick Visionary Award to Jana Waring Greer, President and CEO of SunAmerica Retirement Markets. 3) Help them successfully complete college and transition into the working world. Leading celebrities and comedians have served as entertainers and presenters at STARS including Christian Bale, Warren Beatty, Kate Beckinsale, Annette Bening, Jamie Foxx, Kate Hudson, Salma Hayek, Quincy Jones, Steve Martin, Tim McGraw, John Mellencamp, Mike Myers, Sidney Poitier, Chris Rock, Seth Rogen, Sinbad, Will Smith, Ben Stiller, Vince Vaughn, Denzel Washington and Stevie Wonder. STARS 2008 raised over $1.6 million to benefit the Fulfillment Fund’s programs. The event honored Thomas Tull, Chairman and CEO of Legendary Pictures and included award presentations to Wells Fargo Regional President Shelley Freeman and Fulfillment Fund Founding CEO Andrea Cockrum. Special guests included Ryan Seacrest who served as Master of Ceremonies, as well as Christian Bale and Kate Beckinsale who both made special appearances. To find out more about this year’s event and how you can attend, click here.